Well, the 2016 presidential election is finally over, and people all over the world are settling into the uncertainty that the next four years will hold. The divide between political parties is stronger than ever this time around, and supporters from one side of the fence have refused to look at any good that could come from the opposing party. Now that Donald Trump has officially been electric president, it’s uncertain if that massive divide that has quite literally split America in half will heal during his term as president or if we’re seeing the groundwork being laid for the next American Civil War. Here at TopSpeed, we’re hoping for peace, so to help lighten the mood, we’ve decided to take a peek into the next president’s garage to see just what kind of taste he has for things on wheels. For a man with an estimated net worth of about $4.5 billion (Forbes) or $10 billion (if you believe Trump,) it might come as a surprise that he doesn’t exactly have an overly abundant collection of rides. Sure, there are some nice ones, but a man that wealthy doesn’t exactly drive himself very often, and with being the next POTUS, he’ll probably drive even less. Be that as it may, there are some pretty nice rides in the man’s garage, so let’s dive on in and take a look at what Mr. Trump has stashed away in his mild car collection. 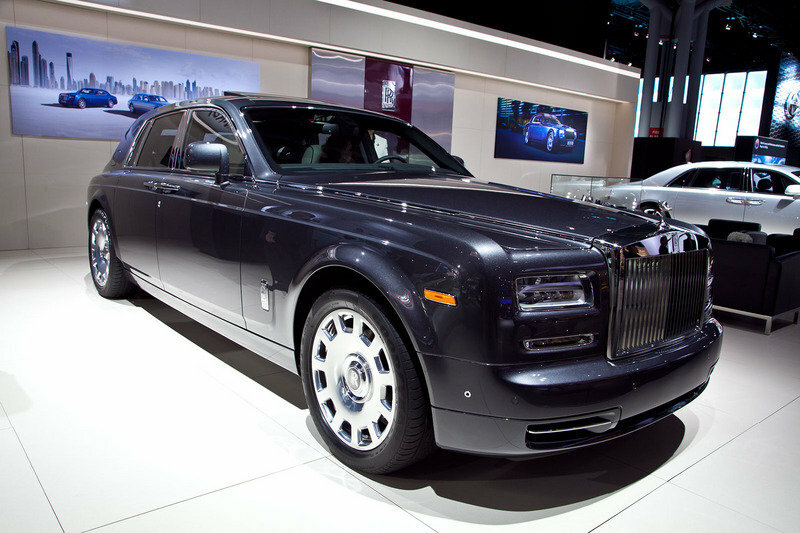 No billionaire would have an admirable car collection without there being at least one Rolls-Royce in the mix. Considering the fact that Mr. Trump is excessively wealthy and has a bit of an attraction to cars, he could very well have a handful of various Rolls-Royces, but the one of the two that we know of for sure is a black, 2015 Phantom Saloon. While the model was available in nearly any color imaginable, Mr. Trump with all-black, which does happen to go well with the stock chrome wheels. As a refresher, the Phantom is powered by a 6.7-liter V-12 that delivers 453 horsepower and 531 pound-feet of torque. That’s enough to push this baby to 60 mph in 5.7 seconds on the way to a top speed of 149 mph. Shifting duties are handled by an eight-speed ZF transmission that routes all that power to the rear wheels. Little is known about his specific model, but you can bet the interior is probably highly customized and suitable for someone of his financial status. When it comes to bullet-proof rides, one could argue that few do it better than the Germans. Think of Hilter’s 770K limo or even the modern Guard-series vehicles from Mercedes. 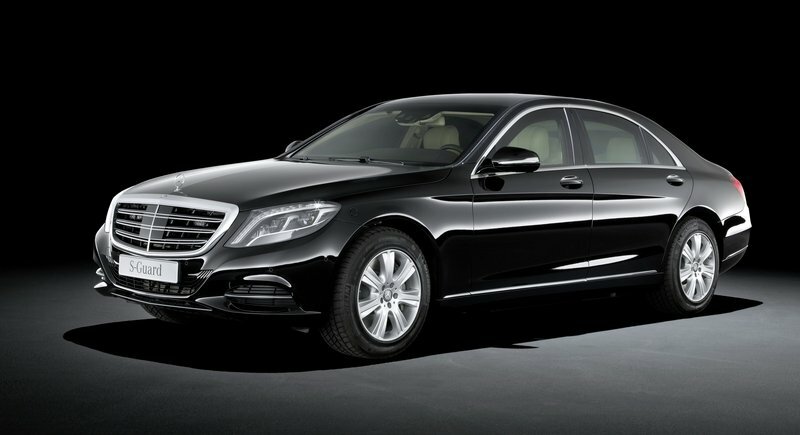 Sure, your boy Donald might have more money than sense, but he knows enough to own one of the most relied on armored vehicles in the world, the Mercedes-Benz S600 Guard. Based on the S-Class but reinforced enough to rival that of a tank, the S600 Guard certainly provides ample protection for the privileged and overly-paranoid penny hoarders of the world. The 2015 model that sits in Mr. Trump’s garage meets BR9 ballistic standards which means it can protect passengers against anything from small-arms fire up to freaking grenades. There’s bulletproof glass all the way around, special plating underneath to protect from underside attacks, and two-inch steel plate all the way around. While it’s heavy, the 530-horsepower V-12 provides enough power for this pretty tank to hit 60 mph in just 7 seconds. As the POTUS, Trump won’t need to be using this ride anytime soon, so this $1 million ride will be collecting dust for at least the next four years. With Donald’s love for cars and the Rolls-Royce brand, it should come as no surprise that he has at least one vintage Rolls in his garage. 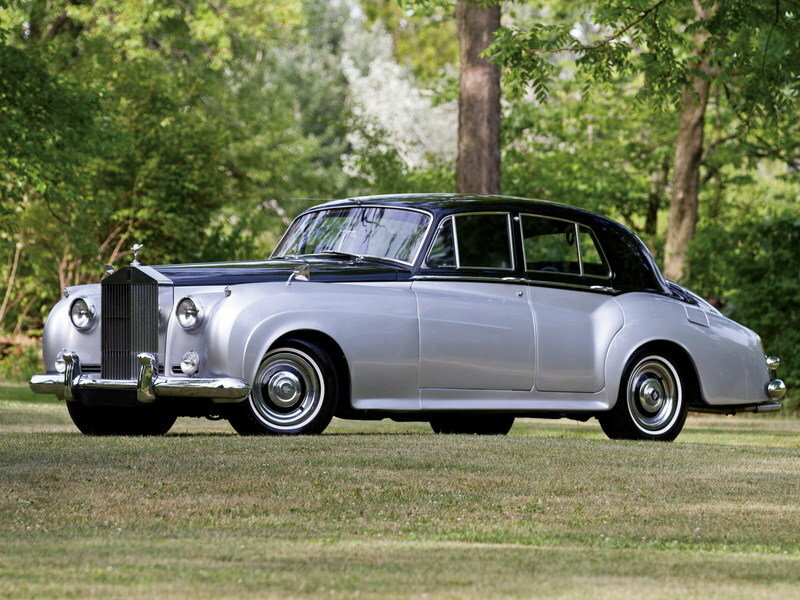 In this case, it’s a 1956 Rolls-Royce Silver Cloud. Introduced back in 1955 and produced through 1958, the first variation of the Silver Cloud came with a 4.9-liter inline-six that delivered just 155 horsepower. Despite having such a low power output compared to vehicles today, the first Silver Cloud was actually equipped pretty well with things like hydraulic brakes, and from 1956 on, power steering and air-conditioning. I guess Trump waited just long enough to get the good stuff. In 1956, British Motor Magazine tested a Silver Cloud (standard-wheelbase) with a body from the factory and hit reportedly hit 60 mph in 13.5 seconds on the way to a top speed of 102.9 mph. Not bad for a luxury car from the 1950s, huh? Believe it or not, these vintage models don’t actually sell for much these days with auction sales normally averaging around $30,000 to $40,000. 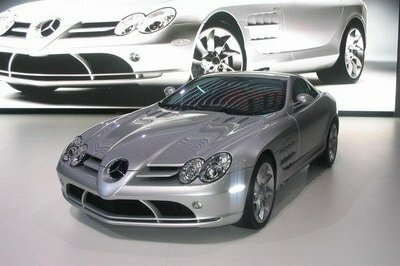 The Mercedes SLR McLaren is the result of a collaboration between McLaren and Mercedes, the latter of which happened to own a 40-percent stake McLaren at the time. It was only built from 2003 to 2010, but in that time there were a number of variants, but Trump happened to get one the year it was debuted. Featuring a unique design, butterfly doors, and a powerful 5.4-liter V-8, this baby was certainly a head-turner. That V-8 delivered a cool 617 horsepower and 580 pound-feet of torque which, paired with CFRP construction, enabled the car to hit 60 mph in 3.4 seconds and the quarter-mile in 11.2 seconds at 130 mph. In 2016, Car and Drive managed to make the 60-mph sprint in just 3.3 seconds, but top speed is commonly debated. Trump paid at least $450,000 to add this beauty to his collection back in 2003 when it was brand new. Despite still being relatively new, a fine example from 2005 sold for $495,000 at an RM Sotheby’s auction back in 2015. Donald, according to a story a few years ago from Automotive News, has supplied a number of his properties with Cadillac Escalades over the years, and apparently approved of the most recent iteration that debuted for the 2015 model year. The exact year he has in his garage seems to be a bit of a mystery, but at the 2015 model’s debut, he did say “I want to buy one immediately,” so it’s safe to assume he has at least one, fairly new model sitting among the other beasts in his stable. 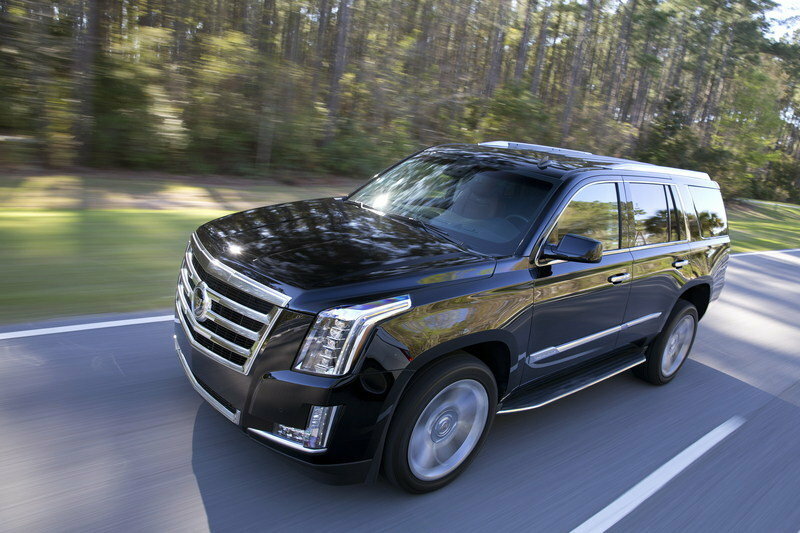 Powered by a 6.2-liter V-8, the new Escalade is good for 420 horsepower and 445 pound-feet of torque. With the standard, six-speed automatic, it can hit the 60-mph sprint in just 6.8 seconds on the way to an estimated top speed of 130 mph. All-wheel drive was optional, and it carried a sticker price of around $65,000 – you know; just some pocket change for our future POTUS. Yes; Donald Trump owned a Lambo, but he recently listed it for sale on Ebay back in mid-September of 2016. It was built specifically for Donald and is a true one of a kind, being the only Lemans Blue Diablo made in 1997. If that doesn’t scream wealthy, I don’t know what does. The car was offered with just 15,277 miles (apparently, he doesn’t drive it much) and had a removable carbon fiber roof. Powered by a 5.7-liter V-12 that delivered a cool 492 horsepower and 428 pound-feet of torque. Power was delivered primarily to the rear wheels by a five-speed manual transmission that utilized a ZF final drive with a limited-slip differential. While power was sent primarily to the rear wheels, up to 25% of the engines torque could be routed to the front wheels on demand. 62 mph came in just 4.09 seconds with top speed coming in at 203 mph. 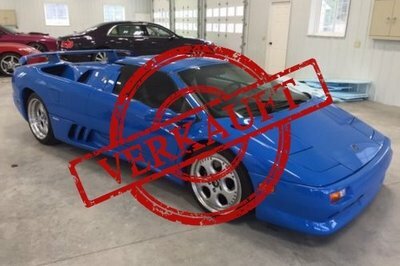 Sources say that the Diablo was sold for a total of $460,000, however, that was the only bid the Ebay auction received and was not enough to meet the reserve. Whether Trump really signed that pink slip and turned over the keys seems to be a bit of a mystery. For a man who stands 6-foot-2 with ironically famous hair, it might seem a little out of place, but a lot of sources point to him owning a Tesla Roadster. What year he happens to own seems to be an item of debate, but for a man who disagrees with man-influenced global warming, it’s a bit refreshing to see that he owns the first all-electric production car ever made. 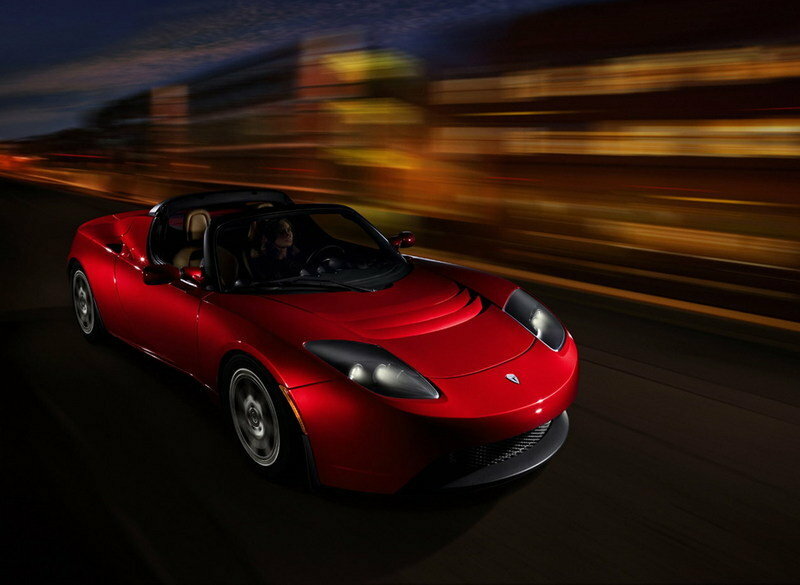 The Roadster was equipped with a 53 kwH battery, but was offered in several variations. In 1.5 and 2.0 trim, the Roadster delivered 248 horsepower and 200 pound-feet of torque. The 2.5 non-sport delivered 288 horsepower 273 pound-feet while the 2.5 Sport delivered 288 ponies and 295 pound-feet of torque. When new, the Roadster started out at $109,000 here in the U.S.
Mr Trump has quite the love affair going with gold, and the man has enough bling that I’m surprised we haven’t seen one of the more prominent rappers out there riding him around in a music video. Ok, all jokes aside, the man really is in love with gold, even allowing tenants to pay him in gold instead of cash from time to time. 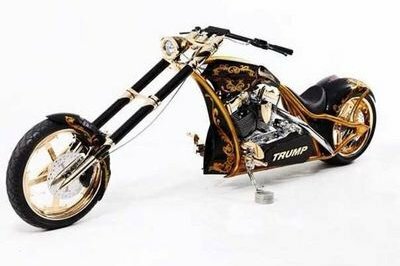 While the thought of seeing this man ride around on a chopper is something straight out of the best political cartoon you can imagine, chances are the bike you see here, that was commissioned through Orange County Choppers, is most likely just a show piece that Mr. Trump rubs one out to every now and then. I won’t go into the major details, but this baby is obviously plated in more gold than I care to estimate and includes some unique gold scribes on the fuel tank and fenders. There’s even a large silver stamp that reads Trump on the front of the transmission cover. The cost to build is a complete mystery, but you can probably guess from looking at it, it surely didn’t come cheap. As is the usual case with multi-billionaires, Mr. Trump has his own private jet. But, it’s not the usual private jets you see. This thing is a massive Boeing 757 that seats up to 43 passengers, has a 16 hour flight range, and can travel at speeds in excess of 500 mph. While it’s unknown whether or not the choice of engine is what inspired Mr. Trump to go with the 757, it’s not really that shoking that it’s powered by two massive Rolls-Royce engines. Inside the thing features tons of 24-Karat gold including all metal trim garnishing, sinks and faucets in the facilities, and his personal bedroom – yes, he has one of those – is also linked in gold silk. There are multiple entertainment systems, including one in his personal bedroom as well as the theatre room. The price of he paid for this custom 757 is a complete and total mystery, but you can bet it wouldn’t be considered pocket change even to the worlds wealthiest. Surely there is more in Mr. Trump’s garage than the models we’ve discussed here, but this gives you an idea of the taste of our future president. Other models are said to include a 1993 Cadillac Allante, and there’s even word of a Maybach holding a spot in his heart. One of his ex-wives even owned a 1991 Acura NSX. Don’t know what went wrong with that marriage – just the taste in cars alone is enough to make her a keeper. Are there other cars that you’ve heard of that we didn’t mention here? How do you feel about our future president having a decent taste in automobiles? Feed us your thoughts in the comments section below and remember to keep it clean and peaceful.